Of course, decorating for Christmas is always special and full of magic and memories, but decorating for Halloween is probably my second favorite. Not everyone wants a skeleton hanging from their chandelier, but I love it! 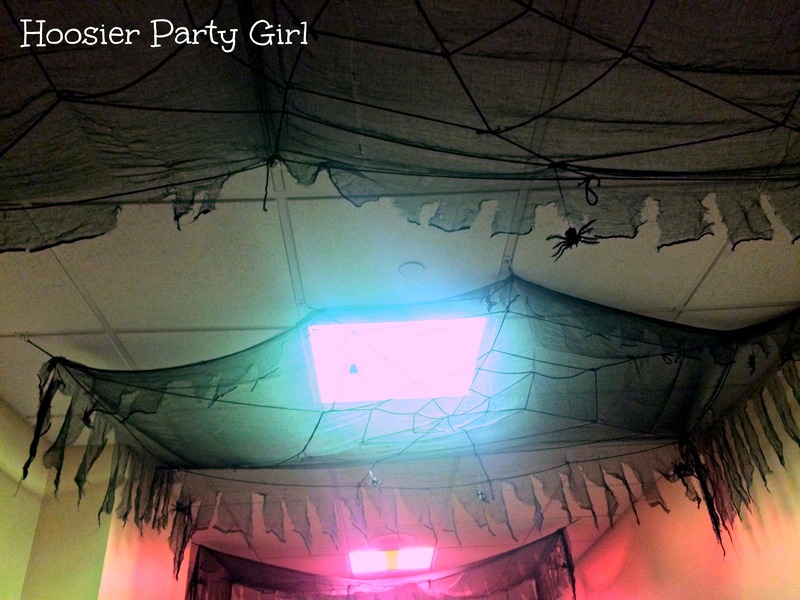 I was pretty excited to find some easy crafts that anyone could use to decorate their own home or a haunted house when previewing The Children’s Museum Guild’s 51st Annual Haunted House: Creepy Carnival. The Children’s Museum of Indianapolis does such a great job decorating for holidays, but many of their fabulous decorations would be difficult to reproduce. I may have to borrow the idea of hanging a spooky table cloth over lights for my family room. I really like the look of this one, but I like the rough edges on the ones the Museum Guild Witches used. What can’t you do with pool noodles? Hang several from the ceiling and you have a disorienting maze to push through. William’s Comfort Air’s Xtreme Scream late nights for teens, adult, and brave tweens. Get times and ticket information here. Don’t forget to check out Bat Encounter when visiting the museum. You might want to sign up for the Black Hat Bash or Black Hat Dash too. The Children’s Museum is offering so many ways to get your kids in on the fun and frights of Halloween. My family and I were invited to a free preview of The Children’s Museum Guild’s 51st Annual Haunted House. 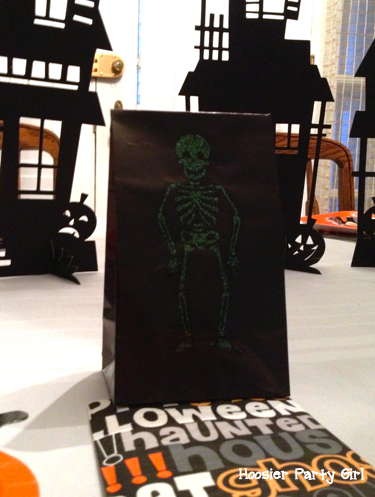 We love Halloween; everyone loves a good ghost story, right? There is just something fun about the macabre, especially in a house with little boys. 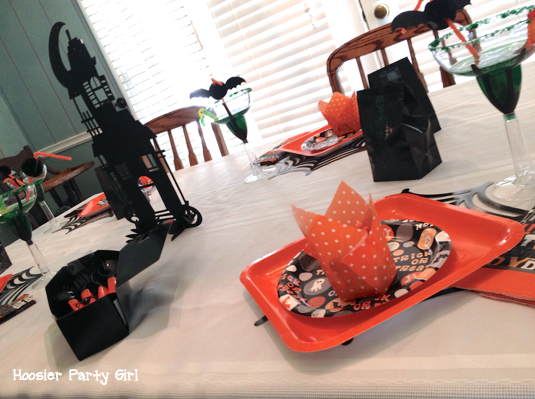 Sometimes I use family dinner as a way to teach about lesser known holidays, but this Halloween place setting is about the fun of a spooky story and maybe trying to gross each other out a bit because that is what boys do. A small sampling of treats – some candy but also small toys – pre-set keeps short attention spans occupied, allowing you to make the event more dramatic, bringing out freaky food from the kitchen with a flourish and a story. A small bag of plastic spiders can go a long way. There were some in each child’s treat cup and bag, but they also attach easily to plastic utensils (it’s all in the details) and coordinated nicely with the spider web chargers. I think I had the most fun making the Witches Brew Mocktails. 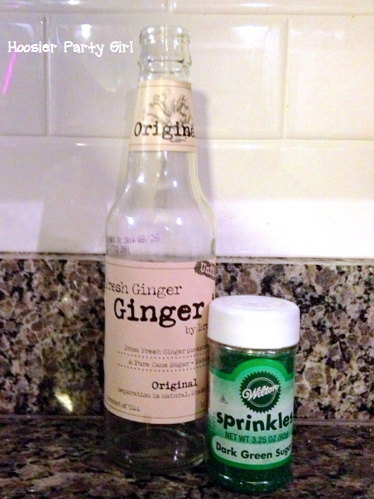 I just took an all natural variety of ginger ale and added a couple of drops of green food coloring. 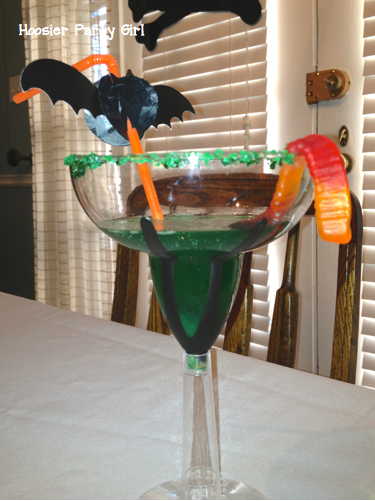 A green sugared rim and gummy worms can complete the look, but every kid needs a bat straw. 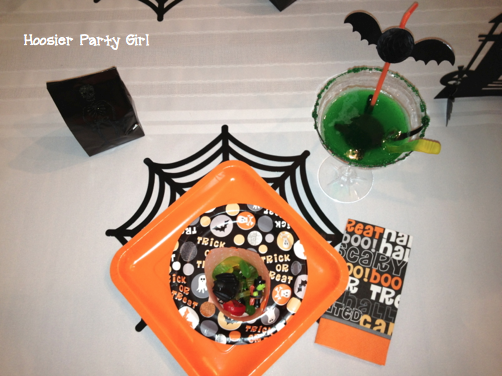 I especially like that the Creative Converting margarita glasses are plastic and light enough for a child to lift safely, although the straws do help keep the food coloring off the table cloth. Next time, I would use one of the coffin utensil caddys to hold extra napkins because there can never be too many napkins when kids are involved. White candlesticks become instantly creepy when red wax is drippeddown the sides. Hanging the skull in front of the fireplace is a really strong statement, while other decorations often blend in on the mantle or side tables. While he is meant to be hung in a window, I really like the look of the candles glowing behind him. I love creating a festive atmosphere in my home. Sometimes it is nice to have “parties” that are just us. As the kids get older and older, I am sure my decor is going to have to go from spooky to creepy, but I am sure it will be a fun challenge. 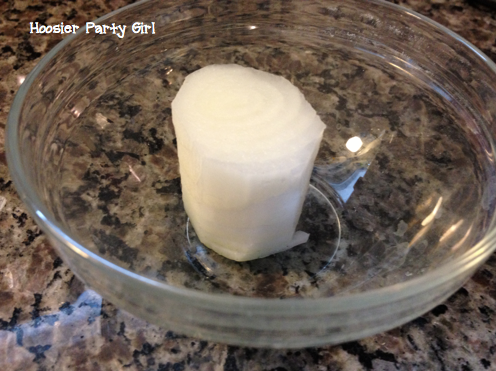 This post was originally written for the Party People blog. Creative Converting provided all the supplies mentioned in this post. Opinions, as always, are entirely my own. 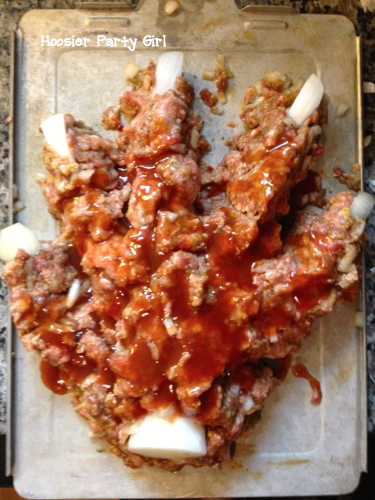 Mine is a bit more of a monster hand than a human hand, but I was able to convert my awesome meatloaf recipe to gluten-free, so that is worth sharing. 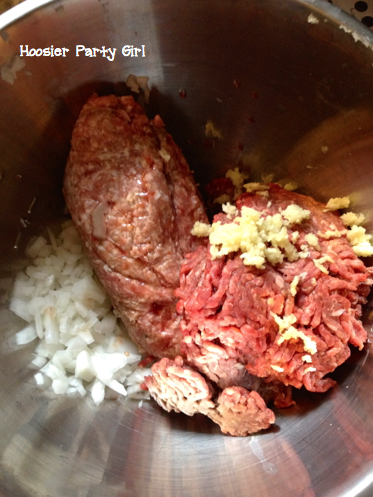 If you are making a meatloaf hand, you’ll want to start with the onion – slicing and rounding off pieces for the fingernails and rounding out a chunk for the bone. 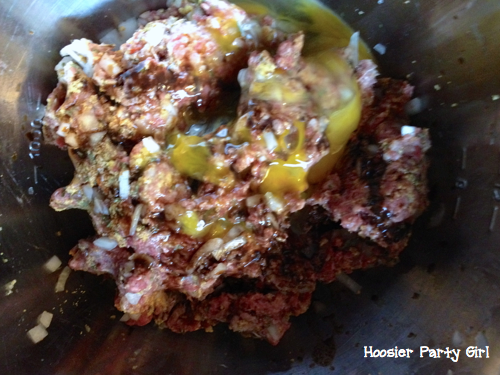 Add two tablespoons Worcestshire sauce, a dash of cumin, two teaspoons of oregano, and one beaten egg. (I added two eggs because it was suggested for gluten-free to help it stick, but I don’t think it was necessary). Mush it all together with your hands and enjoy the mess. 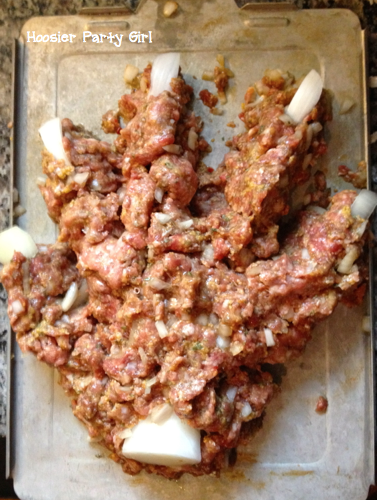 Since I didn’t have a fancy mold, I shaped my meatloaf into a hand shape on a greased cookie sheet, adding the onion fingernails and bone. I am currently not eating any dairy, so I couldn’t do the fun provolone trick at notmartha. Next year, I will try that, at least for the kids. Instead, I just used a little blood barbecue sauce. 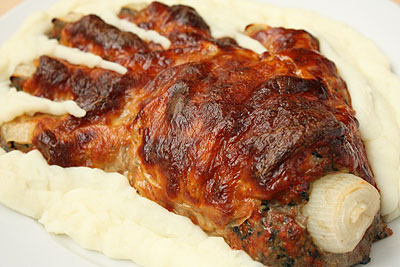 I did add mashed potatoes surrounding the hand, but it wasn’t really necessary since it actually cooked into a neater hand shape. 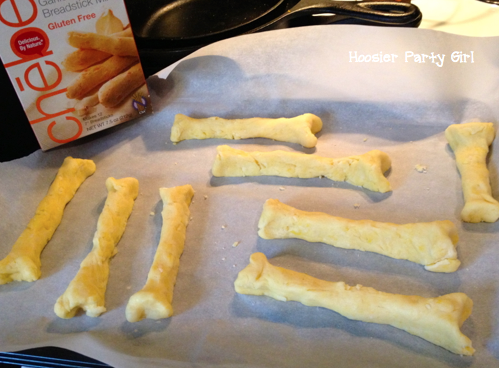 While my meatloaf baked at 350 for 50-60 minutes, I made bone-shaped breadsticks using the chebe mix I received at the Gluten Free Expo. 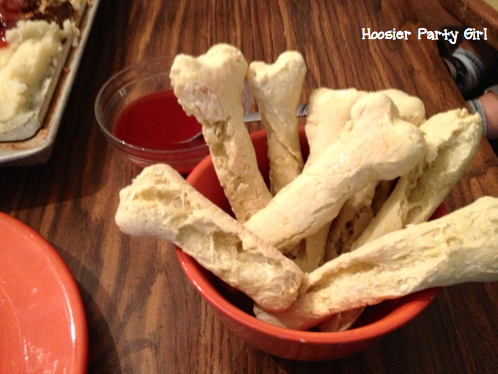 Serve with “blood” dipping sauce (marinara or barbecue), cranberry juice or Witches Brew. The original meatloaf recipe came with a mushroom gravy side, but I don’t think it’s necessary to add anything to this meatloaf. In my last post, I alluded to a project I am working on for Creative Converting. When they post the entire thing I will share it with you, but for now I thought I would give you a sneak peek and teach you how to make Witches Brew Mocktails for your Halloween party. The first step of this project was painting the “glasses” I used plastic margarita stemware for this project because I thought the margarita shape was more generic than a wine glass so potentially more appropriate for kids, while the stemware made it just a bit fancier. I just used acrylic paint and let it drip down the sides of the upside down stemware, adding more half way through to give it a thicker, more detailed look. Maybe you will get it right the first time, but I didn’t. 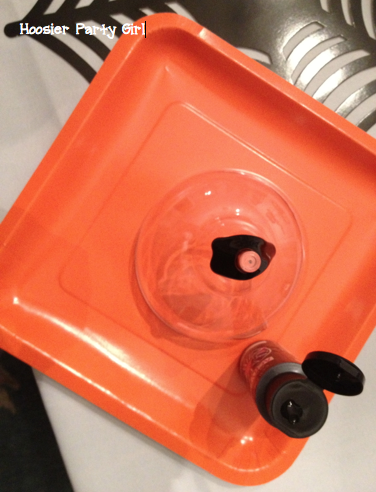 Once the paint was dry, the stemware was ready to go. The “Witches Brew” is simply my favorite all natural ginger ale and a few drops of green food coloring. I had green sugar sprinkles left over from Mardi Gras. 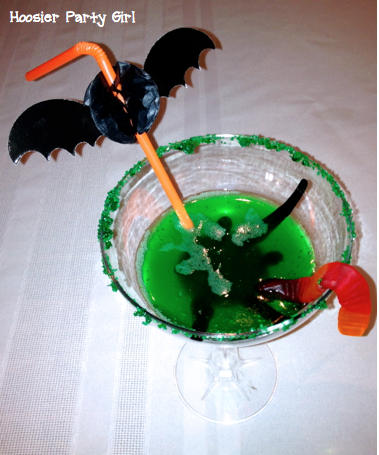 I dipped the rim of each creepy cocktail “glass” into a bowl of water then into a plate of sprinkles to sugar the rims, poured the colored ginger ale “Witches Brew” into the stemware, and topped each mocktail off with a gummy worm and a fancy bat straw. The plastic stemware is light enough for a child to lift it safely, but the straw is added protection against green spots on a white table cloth. While we love the skulls and spiders and scary stuff, I’m not huge on candy. Trick or Treaters are more likely to find toys and pretzels than candy bars at my house. My most amazing assistant, on the other hand, loves candy and deserves all kinds of treats, so I buy the seasonal goodies for her. I think festive wrapping can make anything more special – even just a couple of bags of M&M’s. 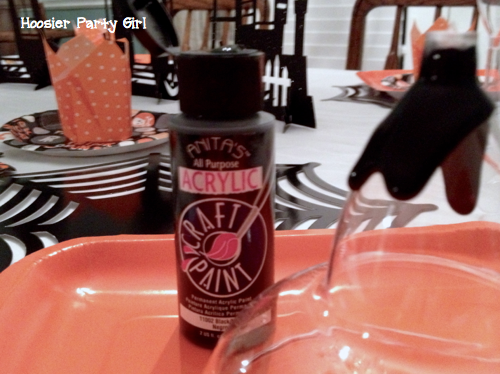 I found the awesome printable tags (free) here. I just printed on plain paper and used my circle cutter to make them into tags. 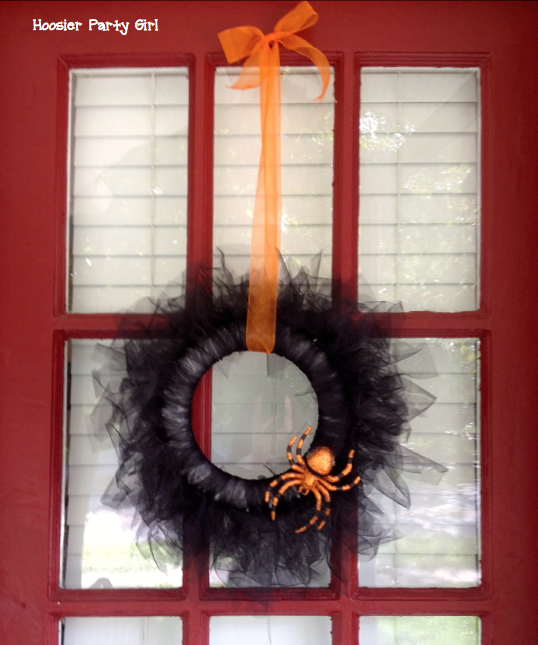 I used the extra ribbon from my spider webs wreath to really make it pretty. I taped the end of the ribbon to just inside the bag, then cut off a triangle at the right length. 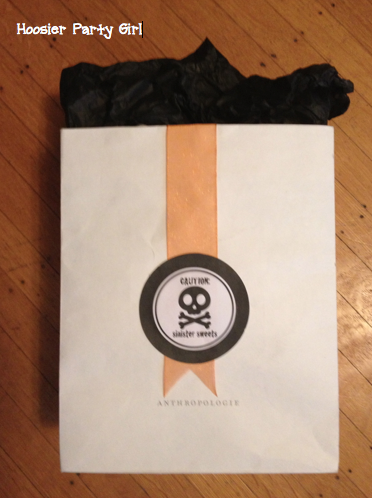 Adhesive dots attached the tag to the ribbon and the bag, holding everything in place. Repeat on the opposite side. I had everything needed on hand, so it only took a few minutes to turn a boring bag of candy into a festive thank you gift.